A guy born in Wisconsin who happens to be an albino who grew up in Minnesota who also happens to be a Muslim who grew up listening to hip-hop. 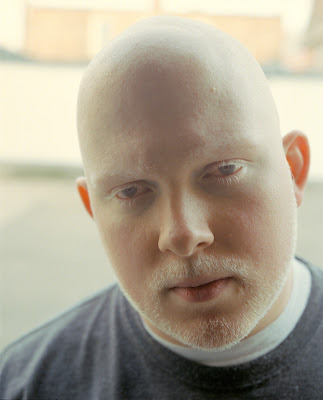 Take all of those things and you get one of the best MCs on the planet, Brother Ali. I witnessed a superb show last night (as a performer myself, I'm not easily impressed). I watched an aggressive young brother called "Reef The Lost Cauze" drop some lyrical gems that had me laughing and saying "DAAAAAMN". Then I watched a beautiful sista called "Psalm One" get onstage and do her thing to the delight of the crowd. The DJ was BK One and could give Kid Capri a run for his money. If you haven't heard Reef, Psalm One or Brother Ali...YOU NEED TO. It was truly surreal watching a bunch of white people chant "Ali" after the Brother blazed the stage. Most of the people there weren't even born when the guy who made that same chant popular fought his last fight. But I must say, Brother Ali had me from the time he blasted onstage covering my favorite hip-hop group of all-time Public Enemy's "Brothers Gonna Work It Out". Open your mind and throw away all of your pre-conceived notions...Ali, Psalm One, and Reef are the TRUTH.